Does anyone have an example of where a midtable team have actually become a contender for the Champions League off the back of a stadium move? The "bigger stadium - the more successful club" mantra is all b*llocks. [quote="LincolnshireHammer"]Does anyone have an example of where a midtable team have actually become a contender for the Champions League off the back of a stadium move? Where is the real West Han Fans Group-approved architect who is coming in to sort out the stadium? My guess is he's stuck in the same state of suspended animation that is currently afflicting the new Director of Football. 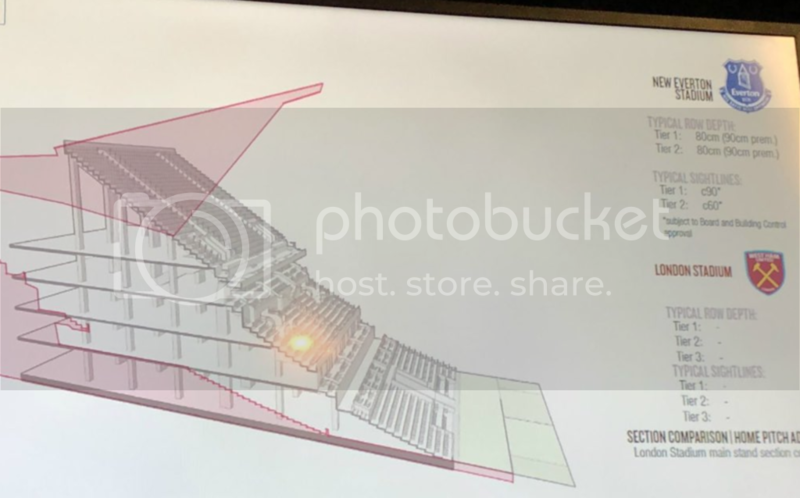 One of my spud mates is posting up over Facebook he has renewed his ST at the new ***** lane...tbf he seems to have a lot of screen shots of his seat- he seemed to be able to do a 360 suvaliance of the ground and get to 'keep' the images. Looks nice and compact and close to the pitch too. Miles Standish Proud wrote: Where is the real West Han Fans Group-approved architect who is coming in to sort out the stadium? Alfiehammer wrote: Karren Brady's "most successful stadium migration in history" is now being used by other Premier League teams an an example of how NOT to move a Football Club. So how much they costing theirs out at? Estimated at £500m, up from original £300m. Ready for 2022 season. Spuds stadium original estimate £400m but now double that. Apparently to appease fans who are not happy with the remote seating at the OS, the board are giving all ST holders in the upper tiers a 2% discount on club binoculars. That image sends a shiver down my spine. What on earth happened. HammerMan2004 wrote: That image sends a shiver down my spine. What on earth happened. * In answer to playing T20 at the Olympic (London) Stadium - chances have 'waned' since stadium came under the control of the London Mayor - but Newham Council still keen. Interestingly meeting told there was probably more chance of baseball than cricket being played there. * It would cost about £2m to adapt the stadium for cricket use. Interesting bit of info that. Makes sense when you see the conversion cost though. I doubt you'd get an average ticket price of much more than £30 for a T20 game there. With the novelty value of an MLB game in Europe and what they've seen happen at Wembley/Twickenham with NFL in recent years they must think that baseball is the money spinner. Danny's Dyer Acting wrote: Interesting bit of info that. Makes sense when you see the conversion cost though. They were talking about India v Pakistan there in the 2019 World Cup. You could charge what you want. I retract my comment in that case! I thought it was only Essex games they were talking about. Interesting. 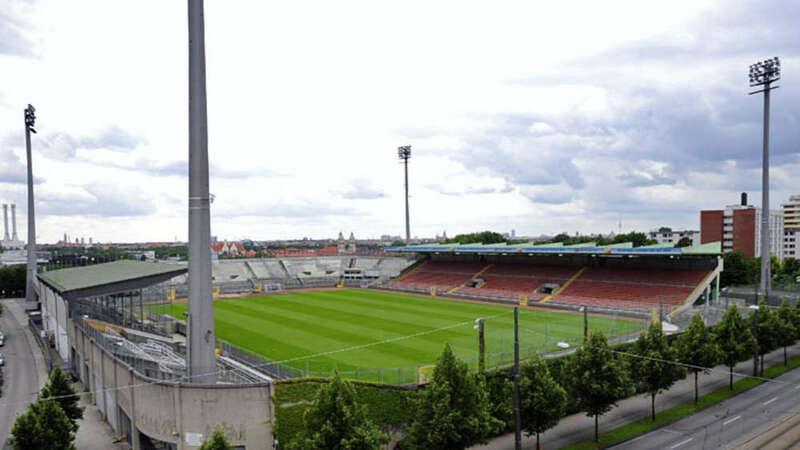 1860 Munich are ditching their groundshare at the Allianz with Bayern and going back to their original home. Well I understand he's doing it all by Skype so probably waiting till he can afford more bandwidth. E17. Well dug out. Funniest clip I have seen since Canning Town Len's musical. More trouble with the Westfield security after the game. New barriers inside stopping people getting through or to the car parks without going outside and walking around.